Sentry Garage Door and Gates Service Pros are standing by to take your call… Because since 1999 Sentry has been providing the fastest, most affordable, garage door and gate service in Houston. So, for the Fastest Same Day GARAGE DOOR and GATE OPENERS Houston TX service… Call the Pros at Sentry Garage Door and Gates, (281) 520-3984. Servicing the Greater Houston TX Area with our award-winning Driveway Gate, Garage Door, and Electric Opener Service. Are you looking for service, repair, or installation? We will be there faster, and do it better, then anyone in Houston Texas. 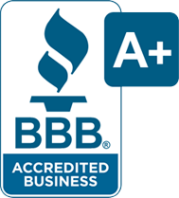 Family owned, fully insured, 5-star customer review rated, Houston BBB A+ accredited garage door and gate service company. Because we always get the job done right! The first time! Every time! And at a fair price! If you have decided to install a front entrance gate, or another type of driveway gate. It’s extremely important that you get the right equipment. If you already have a gate on your property, having an electric gate opener installed can be a great way to secure the entrance. Choosing the right gate opener that will support the weight of your gate is also important. By working with the professionals at Sentry Garage Door and Gates, you will get access to everything you need. Thus, avoiding gate openers Houston repair issues in the future. If you have a swing gate, or a sliding gate, there is a chance that you’re going to need to have a different type of opener. Automatic gate openers for a sliding gate uses a chain drive (which can be found at the base of the gate). While a sliding gate requires a less complicated motor. Because all they must do is swing the gate open and closed. In fact, all the below gate types require a properly fitted operator. And that is mostly based on the type of gate it is. We properly service most brands of automatic gate openers, driveway gate openers, iron gate openers, security gate openers, swing gate openers, and sliding gate openers. Most gate openers are designed to work for a certain amount of weight. For example, let’s say you have a wrought iron gate. Because it will be heavy, it is important to get an opener that can easily handle the weight. Using a high-quality gate opener will also ensure that the gate opener will act as designed. And will continue to function for a long-life span. Thus, avoiding the need for gate opener repair in the future. Keep this in mind when shopping for a gate opener. And remember, you can trust the pros at Sentry Garage Door and Gates to get the best recommendations. As well as handling the process of designing and installing gate openers Houston TX. Our team can also deliver driveway gate repair, fabrication, and installation. We are extremely skilled at the installation of driveway gates for homes, and for businesses. Because we understand that a great driveway gate not only showcases the beauty of your property. It also provides security and piece of mind. Most driveway gates that are extremely secure, look “cold”. Sometimes even looking like a high security prison gate. However, a driveway gate from Sentry will have the visually appealing look to showcase the front of your property. And, it will provide security, as well as that piece of mind we talk about all the time. In fact, you could even add your family name, or logo onto the gate. The pros at Sentry Garage Door and Gates are standing by to answer all of your questions. So, call today, (281) 520-3984. We service, repair, and install most major gate opener brands. Including Aleko Operators, Apollo Operators, BFT Operators, Door King Operators, Eagle Gate Operators, Elite Gate Operators, Linear Operators, LiftMaster Operators, Mighty Mule Operators, Linear Operators, Viking Gate Operators, and US Automatic Operators. Driveway gates need a way to lock, and away to open. A good driveway gate can not only keep solicitors from your doorstep. But it will also easily open, and let the people that you want to come into your property, make their way in easily. So, even though installing a gate with an intercom can be a lengthy process. Having an automated iron gate system can be much more convenient. The two basic types of driveway gates are swing gates, and slide gates. A swinging gate will swing open on various hinge posts, away from incoming traffic. A slide gate will slowly slide away off to the side, allowing easy entry. So, building a sliding track into the fence area can minimize the look of the gate while it is open. The gate can also lock in a doubled-up position, and hide behind your fence. So, keep some of these options in mind if you are considering a driveway gate. At Sentry Garage Door and Gates, we often face repair issues when it comes to gate openers and locks. We know there is nothing more frustrating than a broken gate opener. Because our clients often experience issues with automated gate openers. So, we always perform a check for a variety of potential gate openers Houston repair service issues. The process of repairing an automatic electric gate is not particularly easy. But, with our help you can repair even the most complicated gate openers. When the temperatures dip down in Houston there can be problems with gate openers. Because sometimes a gate can freeze, or the batteries inside the motor can run down. But we can fix this issue as well is make recommendations on how you should proceed in cold weather. If the breaker has been switched, or the outlet to the motor has become unplugged. The result could be issues opening your gate. On occasion remote controls can also break on gates and we can come in to provide service. If your gate is stopped at the wrong spot, you should consider changing the limits. Or, call us and we can set the correct place for your gate to open within the control. If your gate doesn’t close, it obviously will not offer security for your property. We can check your gate arm for physical damage, as well as check the wheel bearings. This is to see if there is any issues of breakage or problems. Rather than suffer through various mechanical issues. Contact us today and we can sort out a solution for your gate repair. If the gate continues to beep, or send alerts. This could be the result of an obstruction. An obstruction, or potentially a low battery situation. We can do gate repair adjustment diagnostics, to discover where the issue lies. So that you can open and close your gate with confidence again. We are the area’s leading authority for garage doors, garage door openers, and garage door repair. Because our professionals are in your neighborhood, and ready to take your call. All our technicians are fully trained to service and install all major manufacturers. Including LiftMaster, Apollo, Ramset, USAutomatic, Elite, Platinum, Eagle, and DKS. Call Sentry today at (281) 520-3984! First check the batteries in your receiver, then in the opener itself. The first thing that you should check before contacting a service professional, is the batteries in your garage door opener. Because a garage door opener, or its transmitter, requires the appropriate power to work. At Sentry Garage Door and Gates we know sometimes a garage door track can fall out of alignment. This can cause issues when it comes to your garage door moving. It is best to contact a service professional if you happen to see the rollers are bent. If your garage or randomly opens, or closes, there could be an issue with your receiver. We can work at finding you a replacement. Garage doors have a mechanism which can reverse them to prevent the chances of damage when objects fall into the path of the garage door. So, if dust or debris buildup is in the track. The result can be it preventing the rollers from moving. If your garage door won’t open, remember a garage door can be much heavier than you think. If the springs in the door break, it can be very difficult to open the door. Contact Sentry Garage Door and Gates if you feel as though the springs may be broken, or your door will not lift. If the automatic garage door opener is continuing to run, but it won’t open your door. You could consider opening and closing the door manually. The switch on the rope that leads to your automatic door opener could have become unhooked, but there is a way to reattach the hook, and secure it. Either call a service professional, or attempt to reattach the hook yourself. If your garage door closes to quickly, and/or creates a large bang when it does close. There is a very good chance that a broken tension spring could be the problem. When working with broken springs, it’s best to have a professional come out to your location. If the door is closed and the motor is continuing to lift without movement. There could be an issue with the springs, or obstacles in the track. Or, possibly the lock to your garage door has been activated accidentally. So, keep some of these top issues in mind for why your garage door may not open. And remember to contact Sentry Garage Door and Gates with any questions. If your garage door opener isn’t working. You may want to consider checking the safety sensors. They are located on the side of your garage door. If the sensors happened to be blocked, there could be a chance that your garage door is detecting something. Clean off the lens with a dry cloth, or consider checking the wires attached to the sensor. Having quality curb appeal and putting your home’s resale value in perspective is very important. A garage door equates to a big impact with the appearance of your home. A garage door could potentially take up to 30% of the front of your home. Replacing residential garage doors can lead to a greater asking price for your home. There are many different options available for your new garage door. And a plethora of different manufacturers. Each one will have many design options. Different window patterns, colors and potentially even materials for their garage doors. At Sentry Garage Door and Gates we are proud to offer a wide selection of garage doors. So, put together some style ideas that you enjoy, and our experts can work at narrowing down the best options for your home. Many manufacturers including Wayne-Dalton and Overhead Door Corp can help you to visualize what their door installations may look like on your home. Using these modern design tools, you can get an idea of just what style works best with the home you have. There are many styles of doors, each with different layers of insulation. A single layer garage door is light weight and very low cost, but it does not have the same insulation value as double layer or premium style garage doors. Most premium garage doors have inner and outer layers made of wood or steel with fiberglass as well as a thick layer of polyurethane insulation. These garage doors insulate almost as well as the exterior of your home. There are varying materials which can change the price of your garage door. And, they can change the visual design of your garage door, as well. Some prefer aluminum and glass, some prefer fiberglass, some prefer steel, whereas others are interested in a full wood construction garage door. There are even vinyl and composite wood style garage doors. Therefore, each of these types of materials has its own advantages, or disadvantages. So, it is up to you the amount of maintenance that you want to perform, and the look that you want for your home. A commercial grade garage door can be much larger than a residential garage door. Residential garage doors are usually a standard 7 feet high. But the possibilities are almost endless when it comes to commercial garage doors. Commercial garage doors can have more customization because they have much larger motors and openers. Using aftermarket glass panels, different materials and various insulating qualities can really improve the look of a commercial door. As well as improve its function for a business. Due to the added materials as well as the larger sized motor that could be needed to lift the garage door. Commercial overhead doors often carry a much larger cost. This is due to all the extra work involved and the larger material costs for production. We know many commercial garage doors are designed for loading and unloading trucks. As well as offering easy access for large vehicles to come into a factory for example. With these larger demands and heavy equipment, a commercial garage door needs to be built to last. Many of the top manufacturers produce heavier gauge materials. Because they need to stand up to such heavy equipment. Contact Sentry for all your garage door and gate openers Houston service and repair needs. And don’t forget to ask about our garage door and gate 100% satisfaction guarantee.